The University of Melbourne was established in 1853 and is the oldest University in Victoria and the second-oldest in Australia. Economics has been taught at the University since W.E. Hearn was appointed as a professor of history and political economy in 1855. The Faculty was established in 1924 and the founding Dean was Professor Sir Douglas Copland. The Bachelor of Commerce degree commenced in 1925 and is now one of the most highly sought after degrees of its type in Australia. Marketing has been taught at the University since the 1930's. In 1954 A.A (later Sir Alex) Fitzgerald was appointed the first full-time professor of accounting in Australia. The MBA was introduced in 1963 and is now taught by the Melbourne Business School. The Faculty recently changed its name to Faculty of Business and Economics from Faculty of Economics and Commerce. Accounting teaching at the University of Melbourne started in 1925 when instruction in the Faculty of Commerce commenced. E.V. (later Sir Edwin) Nixon and A.A. (later Sir Alex) Fitzgerald, who taught Accountancy I in that year, were to become two of the great figures in Australian accounting. Between them, they headed large accounting firms, sat on a range of important governmental enquiries and bodies, provided top-level advice on wartime financial problems and, in Fitzgerald's case, chaired the Commonwealth Grants Commission (responsible for allocating Federal income tax to the Australian States) during 1946-60. In a part-time capacity, Fitzgerald was appointed to Melbourne's (and Australia's) first chair in accounting in 1955. Most of the early Bachelor of Commerce students were qualified accountants who took the degree to broaden their knowledge of the business sciences. 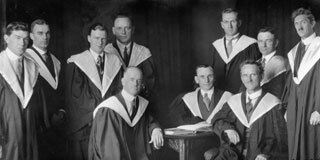 Six of the Faculty's first ten Bachelor of Commerce degrees were awarded to qualified accountants who included Alex Fitzgerald and his younger brother Garry, who taught part-time from 1928. In the 1930s, the student mix changed and, gradually, the Bachelor of Commerce became a gateway into the accounting profession, a phenomenon which has continued to the present day. Promise Fulfilled, by Associate Professor Geoff Burrows, Principal Fellow in the Department of Accounting, Head of Department 1987-1990, was published in August 2008. The book recounts the history of the accounting discipline at the University of Melbourne, from its inception in 1925 to its 80th birthday in 2004. Economic subjects have been taught at The University of Melbourne since its establishment in 1855; with the formal establishment of the Department of Economics occurring in 1944. In the nineteenth century, the discipline was universally known as political economy; and the foundation chair, the Chair of Modern History and Literature, Political Economy and Logic, was within the Faculty of Arts. Over time, as in other parts of the world, the disciplines of history and political economy were separated from their moral philosophy base, and then from each other. At Melbourne, the separation of history and political economy was slow to take place, partially for political reasons. Separate Chairs of History and of Economics and Sociology were created in 1912, but the latter remained unfilled when the University Council refused to accept the Premier's conditions for the appointment of the Professor. Political Economy remained within the Department of History until the creation of the Faculty of Commerce in 1925. 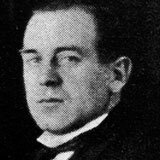 The first Professor of Commerce, Douglas Copland, insisted that the subject be brought under his control and that arts students share classes with commerce students. The first commerce degree focused on business management, with the study of economics as its lynch-pin. Many of the first students had outside qualifications, particularly in accounting, but lacked knowledge of theoretical economic concepts and their application, as well as an overview of the institutional anatomy of the Australian economy within its international setting. In the troubled international environment of post-World War I years, this lack was keenly felt. As a very public economist determined to influence government policy, Copland revitalised the study of economics. One of his strong ambitions was to train professional economists equal to their counterparts abroad. The Department of Finance was formally established in July 2001, although finance subjects had been taught at the University of Melbourne for many years prior. The Chair in Finance was filled when Professor Kevin Davis took up his appointment at the start of 1987 in the Department of Accounting and Business Law. In 1991, the creation and naming of new departments of accounting and finance and of business law recognised the growing importance of the finance discipline and enabled greater focus to be given to its further development. The new Department of Accounting and Finance that resulted comprised four "clusters" of financial accounting, managerial accounting, information systems, and finance. Prior to 1994 there were fewer than six or seven staff in finance; by 1994 the numbers had expanded to around ten, while in 2016 there are over forty full-time members of the finance academic staff. A Faculty restructuring occurred in 1999 in which an interim Centre of Financial Studies was established with an appointed Director, Professor Peter Lloyd from the Department of Economics. In July 2001 the Department of Finance was established with Professor Rob Brown appointed as the new Head of Department. The Department of Management and Marketing was formed in January 1998 and was initially known as The Department of Management. The new department was formed from a merger between the Department of Management and Industrial Relations and the Department of Business Development and Corporate History. Professor Cynthia Hardy was recruited from the Faculty of Management at McGill University, Montreal to assume the role of the first Head of the newly formed department. In May 2006 the department's name was changed to Department of Management and Marketing in recognition of the growth of the Marketing discipline. Based on the departments research, we now have four discipline areas in Management: Human Resource Management, International Business, Operations Management and Organisation Studies; and two discipline areas in Marketing: Marketing Management and Consumer Behaviour. The Faculty was established in 1924 with teaching for the Bachelor of Commerce degree commencing on 2 March, 1925. Economics, however, has been taught at the University of Melbourne since its foundation. W.E. 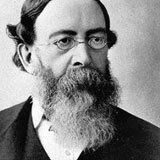 Hearn was appointed as a professor of history and political economy in 1855. The foundation Dean of the Faculty was Professor Sir Douglas Copland who remained a leading figure in Australian economics and politics until his death in 1971. One of the Faculty's lecture auditoriums is named after him. The first woman to graduate from the Bachelor of Commerce (with a major in Accounting) was Harriett Amies. She was amongst the first small cohort of students studying Accountancy in 1925, the commencement year of the new Faculty. 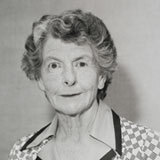 She was also the first female to qualify for membership of the Commonwealth Institute of Accountants (a predecessor of CPA Australia) on the basis of her tertiary qualifications. 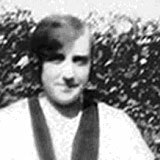 Jean Polglaze — BCom (1932) and MCom (1936)— was the first woman to be appointed to a temporary lectureship in 1936, obtaining an ongoing position in 1939 on her return from Cambridge where she received a Rockefeller Fellowship. The Faculty has always been a pioneer in business education in Australia. Marketing has been taught since the 1930's; in 1954 it appointed A.A Fitzgerald as the first full-time professor of accounting in Australia; the MBA degree was introduced in 1963 (now taught in the Melbourne Business School). More recently, the Faculty has introduced a number of Masters Degrees in various disciplines including applied finance, e-Commerce, business and IT and in international business. The student population has changed from an initial intake in 1925 of predominantly part-time students working in commerce in the city of Melbourne to full-time students drawn from Australia and overseas who are amongst the most able of their generation. Since 1925, over 36,000 students have graduated from the Faculty. Many of these graduates now occupy senior positions in business, government and academia, both within Australia and internationally.